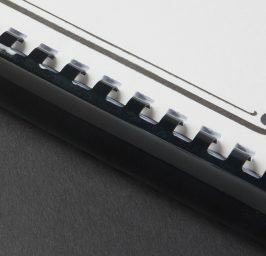 Plastic comb binding allows the addition or removal of pages after the document is bound. It is available in a wide variety of colors, including PMS matches, and can be custom imprinted to compliment any cover. Wire-o, also known as "double-loop" or "twin-loop" binding, consists of formed wire inserted into square, rectangular, or round holes. 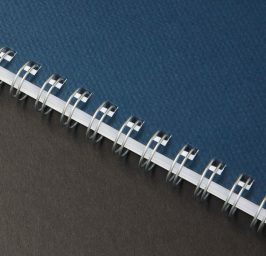 A preferred wire binding choice, the advantages are parallel sheet cross-over and more durability than single-strand spiral wire binding. 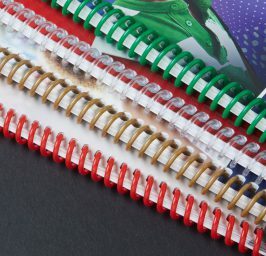 Plastic spiral binding is an economical and aesthetically pleasing alternative to wire. 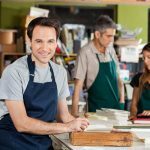 It has elastic-like flexibility and does not crush, making it extremely durable for mailing. 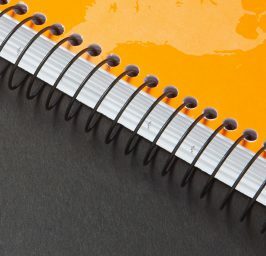 Nylon-coated spiral wire binding facilitates lay-flat use and 360-rollover; that is, the ability to fold half the book under the other half to save space.